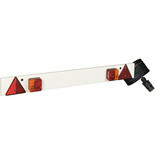 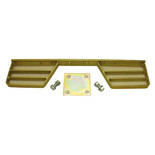 A 1200mm wide white trailer lighting boards with approved, square 4 function rear facing lamps. 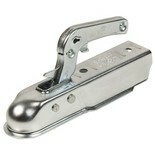 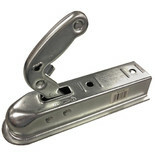 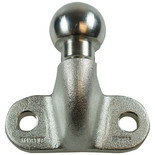 EU approved coupling for most smaller unbraked trailers. 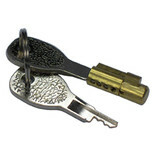 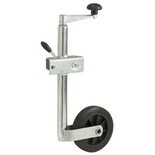 Suitable for use with the MP9745 Jockey Wheel. 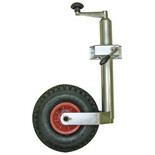 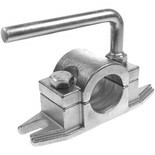 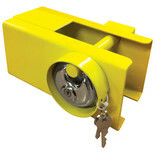 This Maypole Jockey wheel has apneumatic tyre suitable for trailers and caravans fits most couplings. 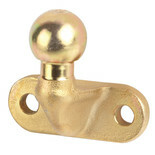 EU approved 50mm Tow Ball. 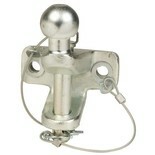 This Maypole 50mm towball has been approved to Regulation 55 and features standard 90mm fixing centres. 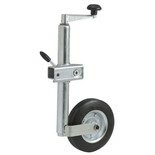 A light weight telescopic trailer jockey wheel. 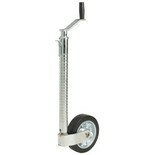 Telescopically extends from 570mm to 840mm max. 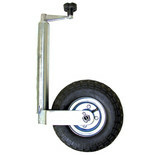 Heavy Duty Telescopic jockey wheel, zinc plated with 48mm diameter tube, 260mmx x 85mm wheel and pneumatic tyre.Maximum nose weight guide 75kg.